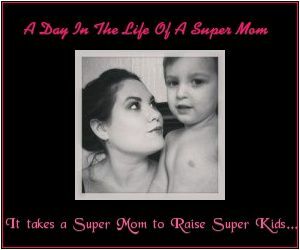 A Day in the Life of a Super Mom: A Mommy Blog: Ground Chicken? Really? It gets somewhat old fixing the same ol' things for dinner every week. With my kids, they each want something different. One wants spaghetti, while the other one wants chili. I have to admit, a lot of the meals I prepare for my kiddos consists of some kind of red meat product. That is, until I discovered ground chicken! I had previously heard of this but never paid the concept much attention. But since discovering Pinterest, I have been trying out new recipes, and some of them called for ground chicken. So I grabbed a one pound package of it and set for home to concoct some ground chicken and garbanzo bean burgers. Needless to say, I ended up eating all the garbanzos straight out of the can before I could even make the burgers. So I decided to use the ground chicken to make one of our family favorites- chili. This chili was the best I had ever made. Ground chicken tastes NOTHING like ground beef or ground turkey. I browned the crumbled chicken after seasoning it with some garlic, sea salt, pepper, and chili seasoning and just threw it into the pot along with the other chili ingredients. The chicken yielded almost NO fat, which was pretty convenient. I didn't have to strain it. Plus, the lack of fat had to make it healthier. I will definitely be using my new found treasure in future recipes. Coat skillet with the vegetable oil to ensure that the chicken doesn't stick. Brown the chicken over medium heat. Season with salt, pepper, garlic powder and about 1/4 of the package of chili powder. Make sure the chicken is evenly coated with the chili powder. On the side, combine the tomato sauce, diced tomatoes (drained), kidney beans (Drain one can, but pour the juice from the other directly into the mixture), and the remaining chili powder. Stir. Mix in the chicken. Cook over low/medium heat until it slowly starts to boil. And that's all there is to it. Pour a handful of fritos into the bottom of a bowl, ladel the chili on top of the fritos, sprinkle with cheese and onions, and voila! This is super easy and quick... and uber delicious!